In 2017, the Macedonian economy experienced economic stagnation, mainly due to the decline in investments as a result of the prolonged political crisis. However, there were positive developments towards the end of the year, as well as retained macroeconomic fundamentals and structural transformation in recent years, which together with the favourable external environment, provided a solid basis for rapidly reversing the path of the economic growth. Тhe trend of reducing the unemployment rate continued to fall in 2017, dropping to 22.4%. Inflation increased in 2017, in line with the movement of the global prices of basic products, especially fuel. The average inflation rate was 1.4%. On December 31, 2017, there are 17 deposit-taking institutions in the Republic of Macedonia, 15 banks and two savings houses. Six banks are mainly oriented to lending to non-financial companies, five banks are mostly crediting households, three banks equally finance the two sectors, while one bank, Macedonian Bank for Development Promotion places credits through the other banks (as the state-owned financial intermediary for approved credit lines from international financial institutions). Most banks are owned by foreign shareholders. In 2017, eleven banks were owned by foreign shareholders, and there were six subsidiaries of foreign banks, unchanged from 2016. Greek and Slovenian shareholders held 21.3% and 14%, respectively, of the banks’ share capital. In 2017, the share of capital originating from Germany increased by 0.8 percentage points. 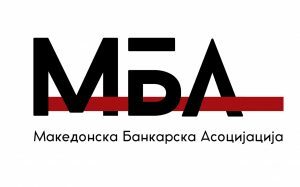 Since the beginning of 2017, the National Bank of the Republic of Macedonia (NBRM) through the Macedonian Interbank Payment System has enabled the banks to make payments in euros (inflows and outflows) in the country and abroad through the payment system TARGET 2. The number of ATMs with transfer functionality rose in 2017 by 9.4%. The number of accounts that could initiate electronic banking increased slightly and the number of contactless cards doubled. The total value of non-cash payments in the country in 2017 grew by 9.6%. The banking network consists of 427 branches. In 2017, the number of employees in the banking system was 5,929. Despite caution on the part of domestic non-financial entities and consumers, consequently, reduced demand for loans in the first half of 2017, banks maintained a satisfactory pace of lending activity. Thus, the total loans to non-financial entities in 2017 increased by 5.9%, which was faster than to the growth of total bank assets and deposits. The credit growth was mainly a result of the increased credit to households, which contributed to the total annual growth with almost three quarters of loans to non-financial entities. The fall of banks’ deposits in the first quarter of 2017 and their minimal growth in the second and third quarters of this year contributed to a slowdown in the growth rate of the total deposit potential of the banks in 2017, despite the solid growth of the deposits realised in the last quarter of the year. The deposit growth rate was 5.1%. Deposits remained the main source of financing of banking activities (73.4% of total assets, which is almost unchanged compared to end 2016). Moreover, households are still the most significant depositor in the domestic banking system, with a share of 69.8% in the total deposits (68.5% in 2016). In 2017, the ratio between the loans and deposits of non-financial entities registered a minimal increase mainly owing to the stronger credit growth (5.9%) compared to the deposit growth rate (5.1%). At the end of 2017, this ratio was 87.7%, 0.7 percentage points higher than 2016. In 2017, there were no significant changes in the level of credit risk in the banking system. The most significant credit risk for the banks still derives from the corporate sector, where the rate of non-performing loans (NPLs) was 10%. The credit risk of households’ placements is low, with the NPL rate falling to the historically lowest level of 2.4%. The share of NPLs in total loans in 2017 decreased by 0.3 percentage points and reached the lowest level of 6.3%. Prudential regulation and supervision, as well as the careful approach of banks in measuring the credit risk, enable high coverage of NPLs with the allocated impairment and minimising the risks for the banks’ solvency against possible full default of these loans. During 2017 the banks worked in an unstable political situation in the country and reduced economic activity, especially in the first half of 2017, which gradually stabilised in the second half of the year. The unpredictable domestic environment certainly affected the modest annual growth of the total assets of the banking system by 3.9%. In 2017 the banking system successfully maintained its solvency. The banks’ capital positions experienced faster growth compared to the risk-weighted assets, mainly due to the reinvestment of some of the banks’ profits and the issuance of new subordinated instruments. This enabled an increase in the solvency indicators, with the capital adequacy ratio at the end of the year, amounting to 15.7% or more than the 0.5 percentage point compared to the end of 2016. One of the significant challenges the banks faced in 2017 was the compliance with the capital requirements of Basel III from March 2017. Banks now have to calculate and maintain a minimum level of capital adequacy ratio (8%), also the rate of core capital (6%) and the rate of regular core capital (4.5%). In addition, and apart from the internal capital requirements, all banks have an obligation to maintain a capital conservation buffer of 2.5% of the risk-weighted assets. Moreover, seven banks, designated by the NBRM as systemically important banks, have an obligation to fulfill the protective layer of capital for systemically important banks. Finally, in 2017, the banking system realised a profit, which was 3.6% higher compared to the profit realised in 2016.